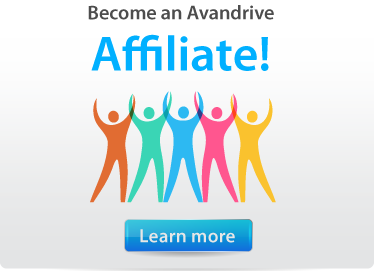 "My life just got easier thanks to Avandrive!" "Streaming videos to my iPhone from cloud storage is so cool!" "Set it and Forget it!" "Recover it again in no time." "Share my movies and music with my friends." "Amazing service! My files everywhere!" "We love the functionality and simplicity of the Avandrive Business package!" "Thanks to Avandrive I can share ideas with others." "Back on the right track"
"It's so easy to use!" "This is definitely the best cloud by far. Keep up the good work guys!" "I absolutely loved the Avandrive Storage "
"Avandrive Storage is my right hand at everything I do"
"Thank you for your excellent services! You are the best!" "Excellent services and fantastic support"
"I cannot find a better backup tool anywhere, especially for this price!" "Avandrive Pro exceeded my expectations"
"Incredible, I can run my entire company off my tablet device"
"You are the best vendor!" We have the best, real support team around, ready to help you with whatever you need, instantly.